Only £19.57 Per Roll Inc Vat! For those using high volumes of tape, buying case quatities is the most cost effective option. 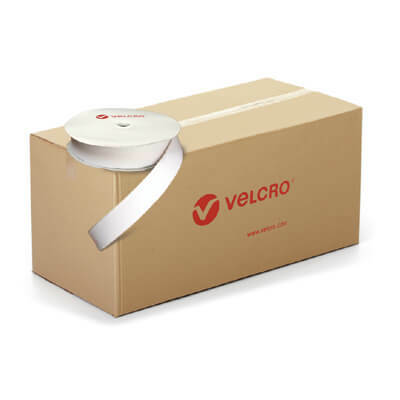 This box contains 21 rolls of 50mm wide x 25m long white self adhesive loop tape. Strong & Sticky PS14 Rubber Resin Adhesive. Simply peel off the backing paper and apply. *Case quantities are available on a 3 to 5 working day delivery.